I have been a busy pedaler with my spinning wheels. 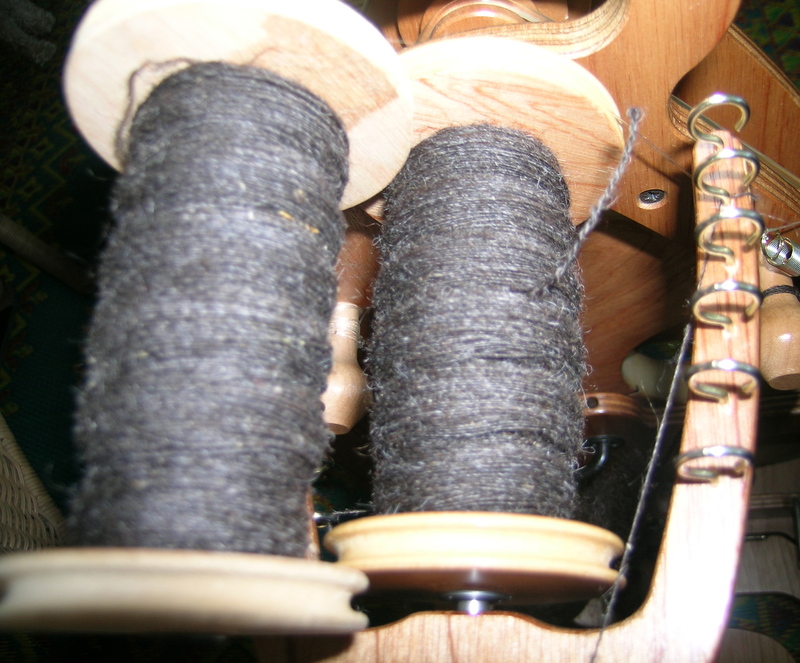 Trying to spin a bit every day for the Tour de Fleece that I mentioned in an earlier post. You were suppose to give yourself personal goals. Mine was two-fold, to spin Shetland and discover its idiosyncrasies, and to just plain get better, especially at the finer yarns. I started with some natural Shetland that I got at the Illinois Fiber and Folk Festival, and then went to some pencil rovings acquired from the same vendor. 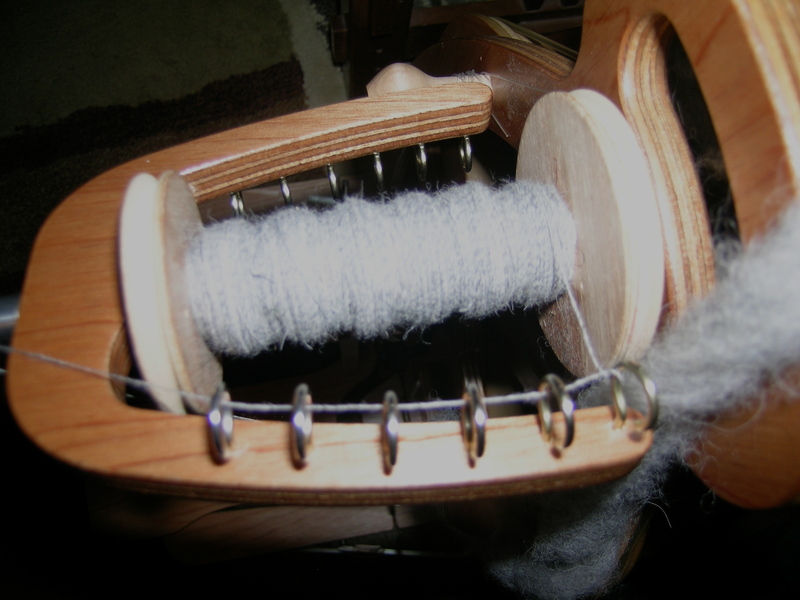 The darker wool had a lot of longer hairs in it, which were all white, and it spun a thin yarn very nice. The fibers were not perfectly aligned, which helped, although there were a LOT of nubs in this. This is currently being plyed into a 2-ply. 4 ounces total. The light roving was a little more of a challenge, but that too spun up nicely. This was 2 ounces, and 2 bobbins are patiently waiting to be plyed next. 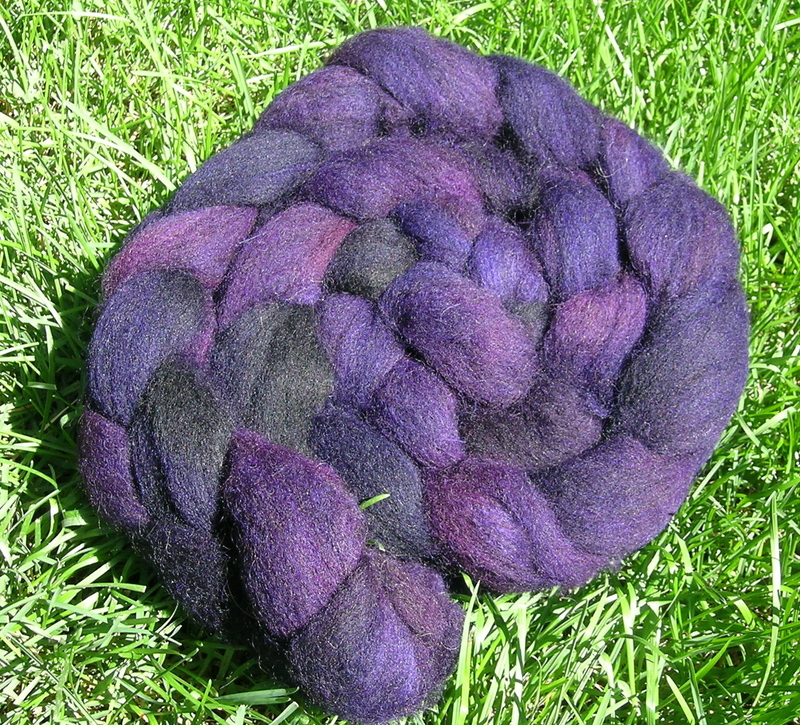 I was working my way up to some Fiber Optic Shetland in a Batik dye called Aubergine. Today I tried that, and tried it, and tried it. I finally put it away as my mo-jo with that fiber was just not there. I have some questions out to see if there is a special technique that I should be doing, short of carding the fibers (no hand carders here yet). So, for now, I will just look at this lovely fiber, take a break, get some answers, and ply the other.